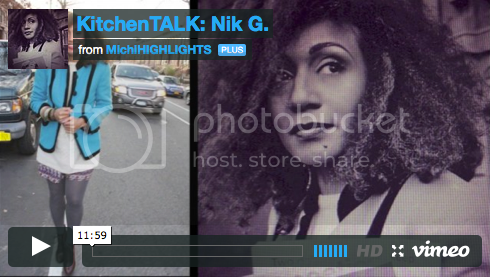 Hey guys, be sure to checkout my little video "interview" on MichiHighlights! I was stoked that she chose me as her first "out of town" guest in her series. If you care to know a little more about me and my insight on life, family, etc.--take a gander!